This week, I was extremely excited to discover that trend forecasting site, WGSN, had mentioned The Spinsterhood Diaries in one of their reports on indie women. As a fashion designer, being mentioned on a website I've actually used for years was really sort of indescribably wonderful. They even linked to this site and mentioned the Zazzle Spinster Store! In the wake of such exciting trend forecasting recognition, I've decided that this week will be full of Spinsterhood Diaries Tee shirts, all listed on the Zazzle Spinster Store for your enjoyment (and, if you so choose, purchase)! Todays' tee shirt is the Unicorn flash card. The graphic is of a majestic fuchsia ombre unicorn with subtle star patterning on his hind quarters. His main and tail are cyan ombre with bits of light scattered throughout. 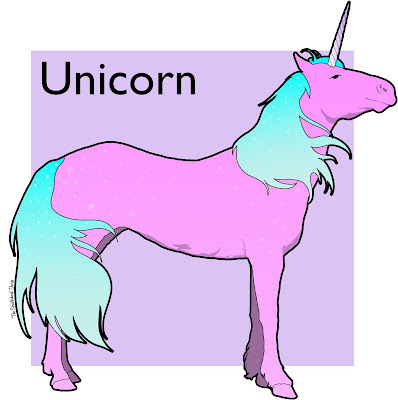 The tip of the alicorn is a light lavender that slips into white as it nears the unicorn's forehead. 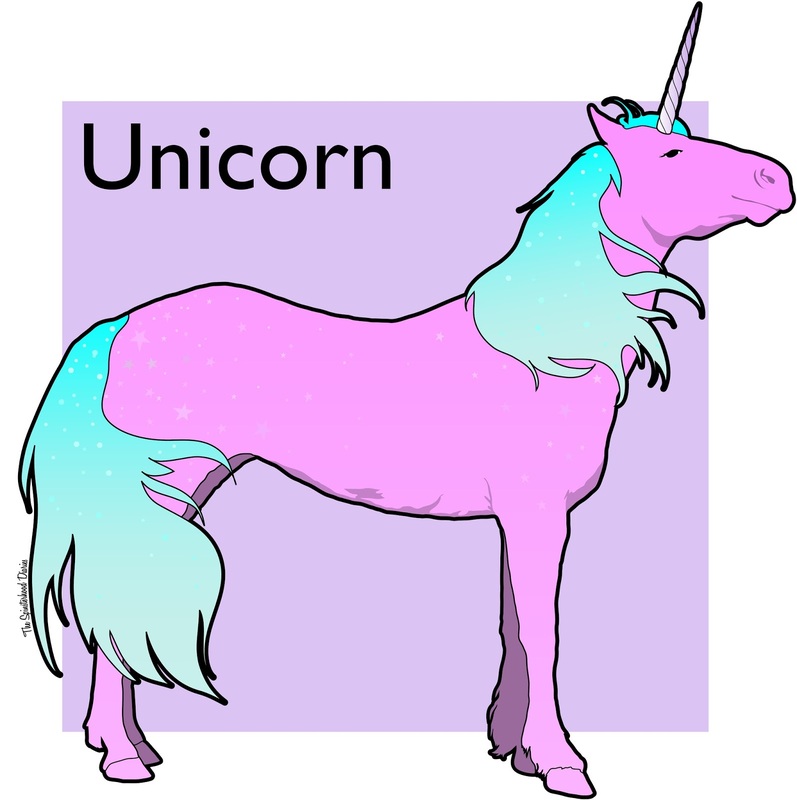 This specimen of the typical unicorn is placed in front of a coordinating lavender square background and labeled accordingly in regular flash card font for all the world to know just what that is on your shirt. Wear this shirt to the first day of school, job interviews, over your swimsuit to the beach, or to your wedding. Wherever you go, it's sure to help you win friends and influence people. concerned about those times when it's not necessary to wear a shirt? The graphic is quite large, so if you need to, print it out and have it tattooed on your chest. I don't mind. Stay tuned for more tees this week! And click here to check out the shirt in the Spinster Store!